Cornish tin has been produced and smelted since 2000 B.C. 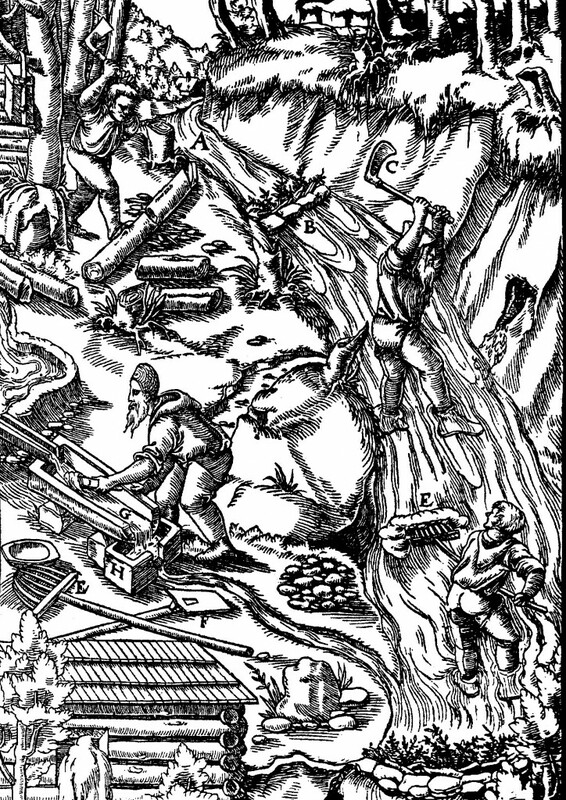 For most of this time it was mined from the surface as alluvial tin (stream tin). This material had been laid down after being eroded and weathered away from outcropping veins or lodes over vast periods of time. A Greek explorer visited Britain around 300 B.C. and wrote of the tin mining and smelting activities he saw. He also said the tinners were friendly and used to dealing with foreign merchants arriving to trade for the tin. After loading it onto wooden ships it was taken across the channel to France then by packhorse to Marseilles an ancient tin trading port from where it was distributed to the Mediterranean civilisations. The lives of Cornish people are strongly woven around the mining heritage. It was of such importance that a Stannary (tin) Parliament existed to govern all matters concerning production. During good times when mines opened church bells rang out, bands played and bunting flew in the wind. When the prices slumped Cornish people were scattered and dispersed throughout the world taking their valuable mining skills to other lands. Today the descendants of Cornish miners are spread around the world. These Cornish communities greatly value the connection with their native Cornwall. People visiting Cornwall are always struck by the melancholy silence of the engine houses and old mining sites that stand as monuments to the generations who have laboured there. These people were welded together in a common cause intensified by the dangerous nature of their occupation. A sense of this may be gathered by a young miners experience when he started his career in the nearby Wheal Kitty tin mine, early in the 20th. Century. 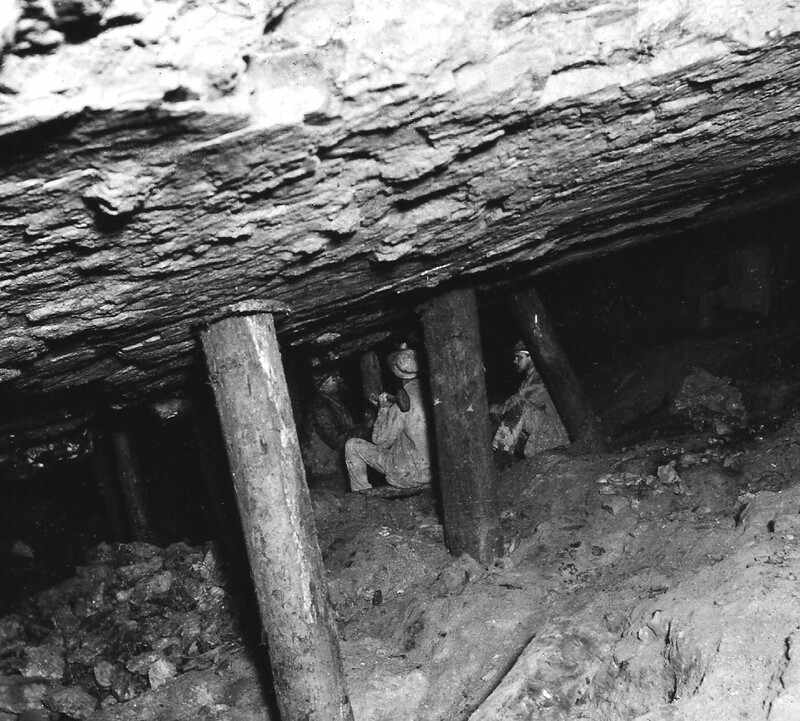 At the end of their working shift the miners gathered near the shaft waiting to be taken to the surface. One of them began to sing a song which was taken up by the whole group, the walls ringing and reverberating with their combined voices. As the sound travelled upwards miners waiting at levels higher up the shaft joined in, until the beauty of the sound echoing up and down overwhelmed him. He was later to spend the rest of his working life in the mines of Africa, but this memory of his homeland remained with him forever.